A happy accident, and a silly accident. As they say in science: You always learn from failure, but rarely learn from success. And really the only people that will ever tell you otherwise tend to be the kind that shove the word ‘Success’ into almost everything, and charge $1000 for tickets to their ‘motivational success seminar’. I had a bit of a modern technology fail yesterday. Via Email I chided Robert Messenger for his ‘Pointless Tippa’, with a post that was dripping with eye-rolling. The problem was that I actually meant to write ‘paint less’, but the iPhone I was typing on while sitting back and enjoying the cool afternoon air outside of the hospital I work at decided that ‘pointless’ seemed more accurate. This was simply because I didn’t put a space between the words. Rob’s been on my facebook long enough to have probably seen me intentionally and subtly twist words when I’m in a bad mood to deride a politician or public figure. And on a really bad day, close friends. A few hours later Rob politely replied that he’d figured out that I had meant ‘paint-less’, but I suspect he might have been originally a bit taken aback. And rightly so, even if it was far from my intention. The really annoying thing about this was that I actually had my Gossen Tippa in front of me at the time; a device that would have not re-translated me for my reader, and just left the mistake in all of its much more readable glory. Thanks Apple developers. Thanks a heap. And again, sorry about that Rob. There are sometimes happy accidents. If you recall I bought a Royal Portable typewriter with the intention of using it for parts to get my Royal Chrome back to life. However, when push come to shove I wasn’t able to use that machine to do so. Subsequently the typewriter has sat idle in a box, in its quite worn and inglorious state rather unused and unloved. One evening I had a bit of a brain-fart and I decided that this structurally sound but beaten and battered old machine, could used for a very special and particular purpose. And so the fate of this machine was decided during a bout of insomnia. The next day I immediately set about working on this machine. 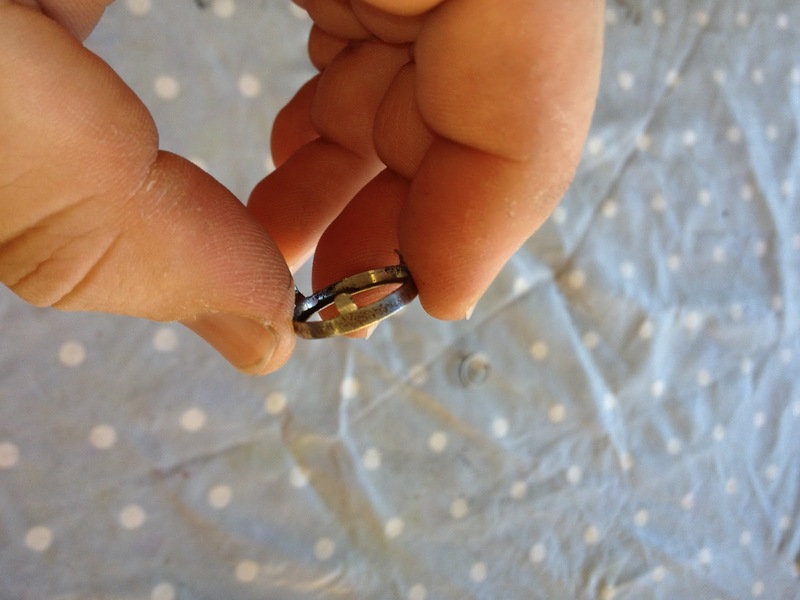 The nickel on much of the typewriter’s adornments was in very poor shape, and so I decided to try and strip the damaged nickel off the key-rings and other pieces of the typewriter. Some time back I had been investigating how to strip chrome off parts easily and I read a suggestion that chrome can be removed by soaking it in Coke for a period. Coke eats away the chromium oxide, and leaves the nickel undercoating behind. Everyone that had attempted this had detailed how a nickel coat was left behind, so it was pretty clear coke wasn’t going to eat through nickel, or at least wouldn’t be as useful in removing it. But I decided I was going to try it anyway and see what would result. Most of the metal stripping from the typewriter remained un affected by the coke. As it was, it too heavily worn for anything to happen anyway. However, something very unexpected happened with the key rings. I’m sure most collectors have seen these rings looking quite damaged before. When I was repairing the rings on my Royal Chrome, I spent a good hour or so just rubbing the surface of these down with a piece of 0000-steel wool and Silvo, to try and get them shining up nicely again. It actually took a lot of work, and was frustratingly fidgety. This time around I threw about a dozen of these into a ziplock bag and poured coke in with them in the hope of maybe removing the nickel, then I left them in the bag on the windowsill for 24 hours. However that also turned out to be something of a failure. I drained the coke out and dropped the rings onto the table, and despondently looked at the corroded rings in front of me. By this stage I had other ideas, so I decided to prep the rings for my next experiment. I needed to get the coke off the rings before they went a bit sticky, so I grabbed a cloth and just started to wipe them dry. Without any real effort the corrosion just wiped off. I’m not saying hard rubbing, scouring or grinding. It literally just wiped off as though I was wiping dirt off. I immediately attempted to repeat this experiment with a bit of a variation, with some more of the rings. I dipped them in for about 5 minutes, and then tried to wipe them off. The corrosion remained steadfast and defiant. So I threw them into a bag again and then sat them in a coke bath overnight. To my joy the experiment was repeated successfully. At this point I threw the rest into the bag and soaked them, then forgot about them for… oh, two weeks. It was at this point that I discovered that one of the rings had been replaced with a chrome plated one. The shape of the ring was slightly different to the others, so I should have realised earlier. And true to the information I had gained from the internet, the ring was stripped of its chrome which left a dull and slightly brassy coloured finish. Mind you, the finish is still nicer to look at than the corrosion. I told John Lavery and Steve Snow about my findings, and in true form John’s response was quick and witty. “You know what you’ve learned from this, don’t you? Don’t drink Coke”! I saw on Teeritz’s blog that he was working on one of these machine recently, and attempting to remove the rings. I posted a quick mention of the coke soaking in his comments, as it may save him a lot of pain. I’m now trying to figure out what other parts I can experiment on, to see what may result. Now…. Let’s get back to trying to finish that project of mine. August 14, 2013 in accident, chrome, email, Facebook, iphone, Nickel plating, Robert Messenger., royal. The Bijou, the Royal and the Messenger…. I recall that you mentioned that I should perhaps soak the rings in Coke. May be worth a shot, since a rubdown with stainless steel cleaner was indeed a fiddly process. Thanks again, Scott! I keep a supply of Cokes in the garage fridge to inspire me when I sense my workshop progress on a “dungeon” typer is fading. Now it has another use. But won't the bare metal begin to tarnish immediately? 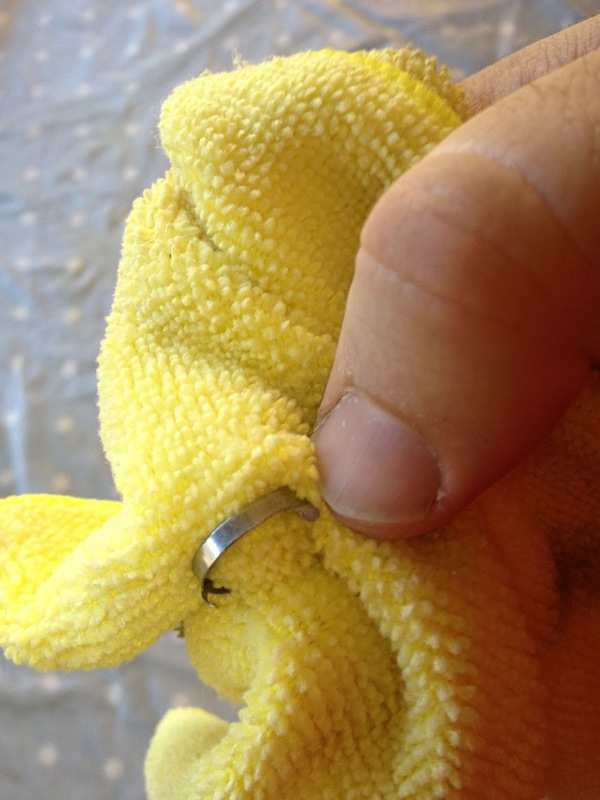 Did you give the rings a coating of wax when you finished removing the nickle plating? Ah, the power of autocorrect and Coke … not to be underestimated, either one! That's just the thing. The nickel didn't come off, the corrosion did. Thanks for the Coke. I heard Coke can be used for better things than drinking it. I will file the good advice away in my memory banks for a day when I come across something needing cleaned easily. Like Google before them, coke should start a new label called Coke Chrome, especially branded for this very practical application. Coke, eh? Off I go to buy a six-pack! Would love to know the chemistry behind this. Definite must try for my next fix!